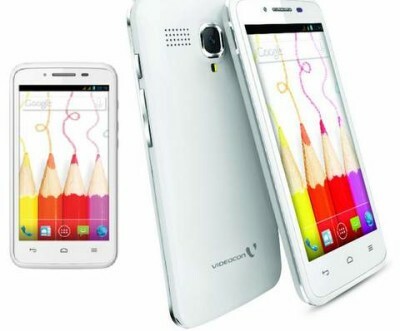 Videocon has just launched another Android based smartphone , the Videocon A42 and A53 . Well the company already has long list of dual core smartphones in there product list and A42 is just listed in the same . The device comes with 4.5inch capacitive display having FWVGA resolution . Spice has also announced Spice Stellar Glamor Mi 436 that supports 3G on both SIM . It seems companies are taking there sweet time , to prepare themselves for launching high end devices .The A53 comes with 5.3inch capacitive display QHD resolution and 1GB of RAM . It is running on Android 4.2 jelly bean OS .The specs of handset are generic , that you find on most dual core smartphones . The A42 is powered by 1.2GHZ dual core processor paired with 512MB of ram . It packs with 5MP rear auto focus camera & 1.3MP front camera as well . Having Dual Sim capability it also supports 3G (3.75G ) , Bluetooth and other standard connectivity .It houses 1700mAH battery and has G-sensore , Ambient light sensor and proximity sensor . It comes with Fun Zone , V store , Hungama app to make the phone much more approachable and enjoyable . Videocon A42 seems to be well built , stylish and with tactile button . It will be soon available in the market and flipkart too at price of RS 7,490 .